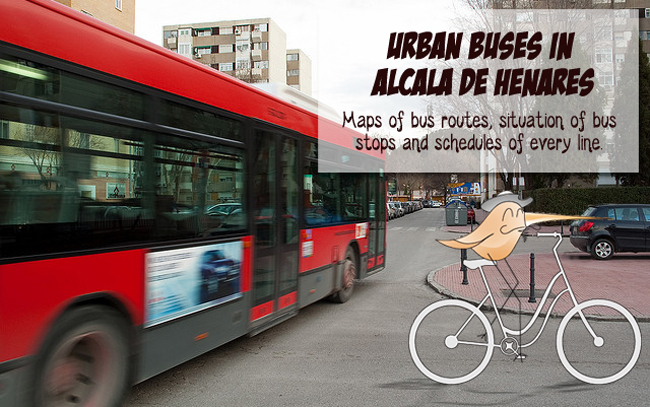 The information on the Internet about urban buses in Alcala de Henares is a mess. That is why we have decided to help you guys, speak at length about it and give you some tips. Entering and exiting is permitted only at designated stops. Passengers should form a line at the bus stop, enter only through the front door and exit through the back doors. Shortly before your stop, push the red buttom to request the bus driver stop and prepare yourself to exit. You should hear a ring and ‘próxima parada’ will appear (usually in red) at the front of the bus above the driver or front door. Since it is not required to stop if there are no passengers waiting at the bus stop, the driver will only stop when someone whises to get off. Smoking, eating and drinking are not allowed on the bus, neither is talking to the bus driver. A one-way ticket costs about 1,30€, and it is the only kind you can buy on the bus. The fare must be paid upon entry, and you should pay the driver. They do provide change – usually just coins and possible 5 euro bills, but nothing larger. You can also get a Bonobus, which is a Ten-Ride ticket and costs about 8,50€. 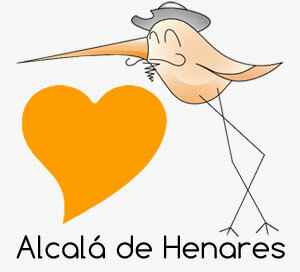 It can be purchased at an estanco or any business which has the sign. This ticket can be used in other cities, as long as they are inside the B3 zone. It can also be used by more than one passenger. All should get on the bus together and validate for as much rides as there are people. The ‘Abono transporte de la Comunidad de Madrid‘, a monthly bus & tram pass, for the zone B3 is valid in Alcalá de Henares. You just need to show your abono to the Bus driver. Line search: to know the current position of the bus of a certain line, the posible changes and the buses that stop in there.